If you are a taxpayer in Canada, the following general information may be helpful to you. It does not exhaust all tax-related issues that needed to be dealt with before December 31 or may not be applicable to you at all. Please note that this information is not professional advice to your particular situation. 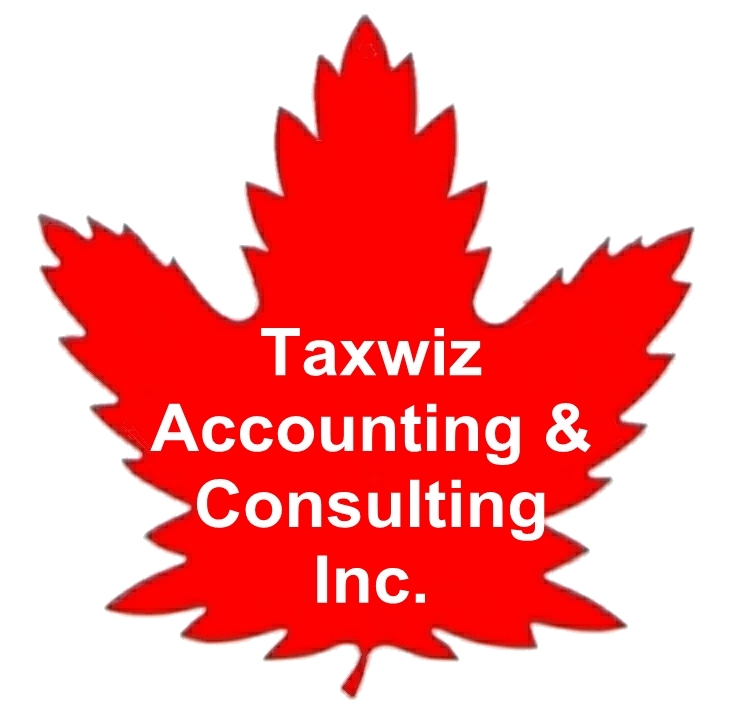 Neither Taxwiz Accounting nor the author assumes any responsibility or liability to any persons relying on the information in this article to perform tax planning and/or compliance of any kind. Readers should use this information with caution and should seek professional advice before using it. All rights reserved. deferring tax on stock option benefits if you exercise stock options this year on publicly traded shares and keep these shares until December 31 (you have to notify your employer before next January 15 to exclude this income in your current year T4). If you are a shareholder or creditor of a defunct private corporation, consider disposing your shares or writing off the debt before December 31 to realize an Allowable Business Investment Loss (ABIL) before the end of the year. An ABIL, amounts to 50% of the total loss resulted, can be used to reduce income from all sources. However, if you have already claimed a capital gains exemption in the past, the amount of the ABIL is reduced by the claimed amount, time your claims and exemptions carefully. Claim the $500,000 capital gains deduction from small business corporation shares and qualified farm property. If you have claimed part or all of the abolished $100,000 personal capital gains deduction before or have claimed an ABIL in prior years or have cumulative net investment losses (CNILs) as at December 31, it is possible that you will not be able to claim the full deduction. the settlement of the trade must take place before the last stock trading date of the year. Sometimes claiming certain deductions may inadvertently trigger AMT when minimum tax payable exceeds federal basic tax. Originally designed to disallow high-income taxpayers to use legal deductions and tax loopholes to substantially reduce their tax bill, the AMT is now increasingly affecting the middle class as carrying charges, capital cost allowance and capital gain exemption are frequently used to reduce taxable income. If you have investment income exceeding $40,000 and you are claiming tax preferences, seek professional advice. To those who have a spouse, they may want to consider splitting retirement income by way of spousal RRSP. If you turn 71 (previously 69) on or before December 31 this year, you must convert your RRSP to a RRIF or annuitize your RRSP by December 31. It is important to take early action before the deadline. If you do not make a decision as to how you wish to receive your retirement income by December 31, the full market value of your RRSP will be added to your taxable income next year. If you turn 71 in this year, you can make a final RRSP contribution prior to conversion to RRIF. If you have earned income this year, you could contribute 18% of your earned income in addition to your RRSP contribution limit. After you turn 71, you can also contribute to a spousal RRSP if you have earned income and your spouse is not yet 71. If you are 70 or 71 and have converted your RRSP to a RIF as required by law when you turned 69, you may transfer the assets back to an RSP as long as you convert it back to a RIF by the end of the year in which you turn 71. If you have a RIF, the minimum RIF withdrawal rule is waived for 2007 (if you are 71 years old in 2007) and for 2007 and 2008 (if you are 70 years old in 2007). Top up Registered Education Savings Plan (RESP) contributions for eligible beneficiaries before December 31 to obtain the current year Canada Education Savings Grant (up to an annual maximum of $500). The annual RESP contribution limit of $4,000 has been eliminated and the lifetime limit has been raised from $42,000 to $50,000. To those who have a budget constraint, it is important to weigh the benefit of the grant and of the tax-saving from buying RRSP to determine an optimal mix of RESP and RRSP. The accelerated capital cost allowance (CCA) for eligible computers announced in the 2009 budget allows businesses to claim 100% (CCA Class 52) of computer costs (including systems software) purchased after 27 January 2009 and before midnight, 31 January 2011. 15% effective January 1, 2012. You do not have to be a first-time home buyer if you are eligible for the disability amount or you acquire a qualifying home for the benefit of a related person who is eligible for the disability amount. The $5,000 annual contribution limit will be indexed to inflation in $500 increments, starting in 2010. You can carry forward unused contribution room indefinitely. You can hold more than one TFSA, subject to your contribution limit. Higher income spouse can give funds to the lower income spouse to establish his or her own TFSA. The normal income attribution rules that tax the investment income in the hands of the giver (usually higher income spouse) do not apply. Like an RRSP, interest on funds borrowed and fees incurred to invest in a TFSA are not tax-deductible. Unlike an RRSP, which has to be wound up when you reach age 71, you can maintain your TFSA for your entire lifetime and a TFSA can be used as collateral for a loan. If you become non- tax resident, you can maintain your existing TFSA and your investment income and withdrawals will remain exempt from Canadian tax. However, while you are non-resident, no new contribution room will accrue. Despite the assurance of a relatively healthy economy from politicians, the global financial tsunami is far from over. The worst hit is expected to be in next summer or autumn. Most businesses should be prepared for a decline in revenue and should ensure liquidity to meet current liabilities. It is disturbing to see that politicians in Ottawa are more interested in pursuing power than the best interests of Canadians, especially when wise and strong leadership is much needed to mitigate impacts of the financial crisis. Interest rate next year may reach a record low in the last 50 years. Those who have an open and floating rate mortgage should watch for the best mortgage rate to lock in. GST rate will be reduced from 6% to 5% effective January 1, 2008. Public transit tax credit will be extended to innovative fare products like electronic fare cards and weekly passes when used on an ongoing basis. The lifetime capital gains exemption for farmers, fishermen, and small business owners from $500,000 to $750,000. The value of goods that may be imported duty- and tax-free by returning Canadian residents after a 48-hour absence has been increased from $200 to $400. To combat obesity and to promote health of children, a $500 children’s fitness tax credit amount will apply in 2007. Effective January 1, 2006, the federal gross-up and dividend tax credit has been increased to the equivalent of 45% (from 25%) and 27.5% (from 16.7%) respectively for dividends paid from income not subject to the small business active income tax rates. The 25% capital gain income inclusion from donating eligible securities to charities was eliminated on or after May 2, 2006. Effective July 1, 2006, a new transit pass credit applies to the purchase of monthly (or longer duration) public transit passes. Proofs of purchase such as receipts and the monthly transit passes may be required in the event of a tax audit or when filing your personal income tax return. Taxpayers earning employment income are entitled to claim a new employment credit of $250 in 2006 ( this credit will be raised to $1,000 in 2007). The maximum amount of pension income that qualifies for pension income credit has been increased to $2,000 (from $1,000 previously).